Paul Gilman is Co-Chair of the firm's Business Law & Transactions Group. 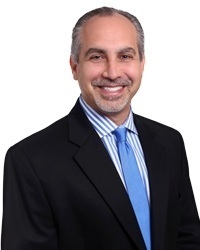 He concentrates his practice in corporate, healthcare, tax, estate planning and real estate matters. Paul advises clients on corporate formation and structure; contract preparation and negotiation; capital financing, including public and private offerings of securities, syndication of investment interests and venture capital finance; and mergers and acquisitions, including consolidation (rollup) transactions strategies. He counsels clients on tax and financial planning matters, including wealth and succession planning techniques. Paul also serves as outside "general counsel" to a large number of privately held businesses, acting as a trusted advisor and counselor to these entities and their principals. He advises clients in many industries, including real estate, manufacturing, distribution, retail, healthcare, consulting, advertising, professional services and entertainment. In his healthcare practice, Paul has significant experience representing professional practices, including physicians, dentists and veterinarians. He also advises other healthcare providers and represents long-term care facilities, medical equipment suppliers and distributors, and pharmaceutical providers. He regularly counsels healthcare clients on regulatory matters, including HIPAA, and the structuring of transactions to comply with the Stark laws, the Federal Anti-Kickback Statute, Illinois Health Care Worker Self Referral Act and other statutes and regulations. As a certified public accountant, Paul writes and speaks frequently on various healthcare, tax, financial planning and employee benefits matters. Since 2014, Paul has been recognized annually as a Leading Lawyer in Closely & Privately Held Business Law, Mergers & Acquisitions, and Securities & Venture Finance Law by Illinois Leading Lawyers, a designation awarded to less than 5 percent of Illinois attorneys.